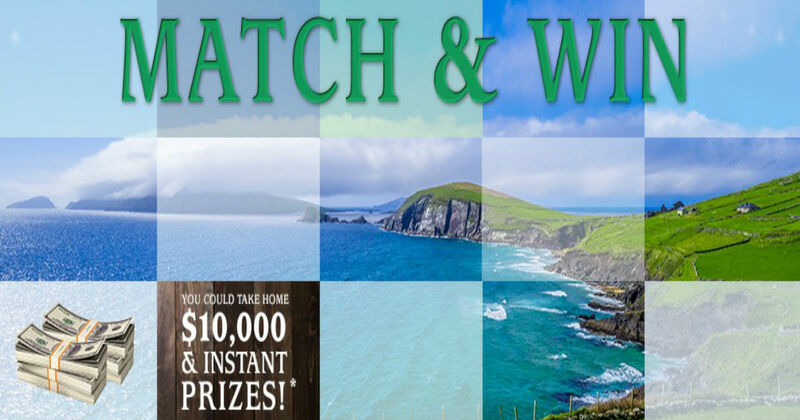 Enter the Irish to the Core sweepstakes and instant win game for a chance to win a $10,000 check, $100 Visa prepaid gift card, and more! Sweepstakes ends on March 31, 2019 at 11:59 p.m. ET.